Hello again. 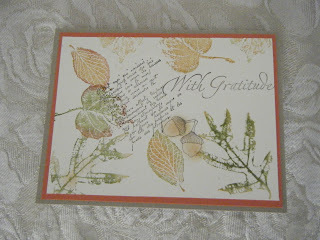 This is my version of a fall card. My ladies really enjoyed playing with the rock and roll with a twist technique. This card was inspired by Ilina Crouse. The technique calls for inking a stamp in your preferred color and then adding a different ink color with a dauber along the edges of your stamp. My card is more vibrant than it shows here. Oh well. 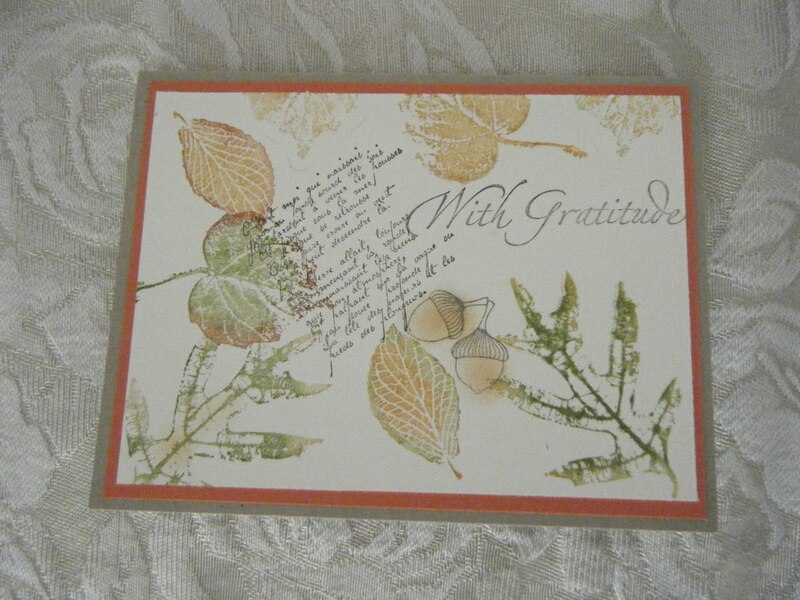 The sentiment I used is from a retired stamp set I can't seem to part with. Try making a card like this. You'll enjoy the process. Here is the shopping list. Thank you for looking. God bless. Pretty ... pretty. Beautiful collage affect.